I don’t think that’s the answer anyone is looking for…lol. But, why use a foreign man made product to detox your body. Sure the label might say “ALL NATURAL DETOX” but how natural can it be if it’s been on the shelf in a store for weeks, months, maybe even a year? The purpose of a detox is to rid the body of toxic or unhealthy substances. So before purchasing a “man made supplement”….. try making this all inexpensive – all natural detox at home. 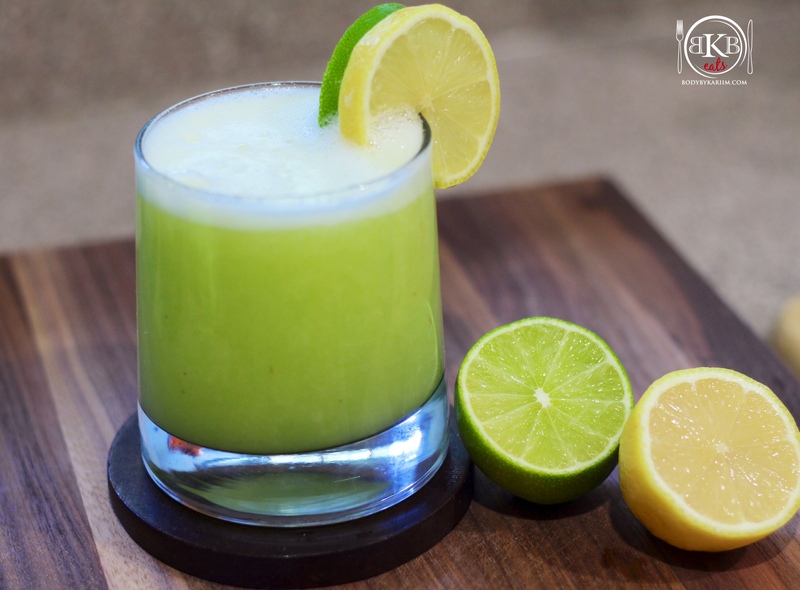 Lemons and Limes have amazing digestive- cleansing properties. They will flush toxins out of your body, help relieve bloating, gas, heartburn, and constipation. The fiber in the lemon & lime – scrubs your intestines and supports healthy colon function. *Boost alkaline levels. NOTE: Since this is a detox, use Organic ingredients if you can to avoid possible pesticides. Add all ingredients to blender. Liquify to your liking. I am detoxing the entire week starting after the new year and would like to know how often I should have this drink. And, any ideas for variety? Or, just stick to this? You can have it once a day. First thing in the morning after a glass of water.